Ahmedabad is a first world heritage city of India is also known as historical and industrial city of Gujarat. After acquiring the status of a mega city, its rate of growth and development has surprisingly increased. I always felt dire need for an updated tourism guidebook on Ahmedabad, providing a complete and detail information to tourists visiting our great city. Hence this humble and informative Publication 'Welcome to Ahmedabad' which, I am sure,will fulfill their desire to know about the city. My prolonged series of articles in 'Amdavad-Katha' and 'Mirat-e-Amdavad', and published books 'Amdavad-Katha' and 'Aa Chhe Amdavad' has given me an identity as a writer on Ahmedabad. My complete involvement in the glorious history of the city 'Amdavad' has made me perfect 'Amdavadi'. 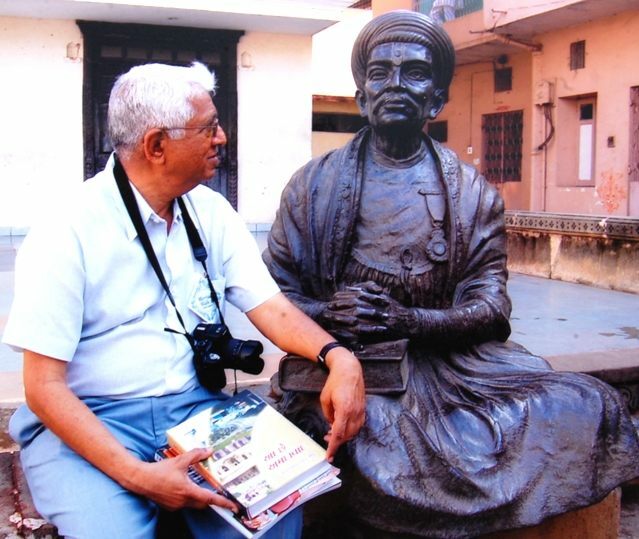 The main photographer of this book is a renowned photographer- Vraj Mistry. The book is enriched with his excellent photographic skills. You will also find some of the photographs captured by me. I thank all other photographers and institutes for providing me their valuable photographs. I am also grateful to the help rendered by the respective subject experts- Dr. Jaykumar Shukla, Dr. Rasesh Jamindar, Prof. Hemant Wala, Prof. Pankaj Soni, Prof. Bansilal Dalal and Dr. Namrata Bajaj. For the planning of the book, I received warm support from Rohit Kothari, Ashish Bhatt, Uday Bhatt and Rohit Shah. I am indebted to Dr. Sabbir Mansoori, Dr. Mukul Shah and Dr. Narayan Patel for providing information regarding Medical Tourism. My associate, Dr. Pankti Patel has been very helpful to me throughout the work on this book. Thanks is also due to Manubhai Shah of Gurjar Prakashan for publishing this book. After having a long and consistent journey of Ahmedabad, I express my pleasure and pride to see it taking a form as a travel companion - 'Welcome to Ahmedabad'. I welcome your suggestions and feedback on the same.